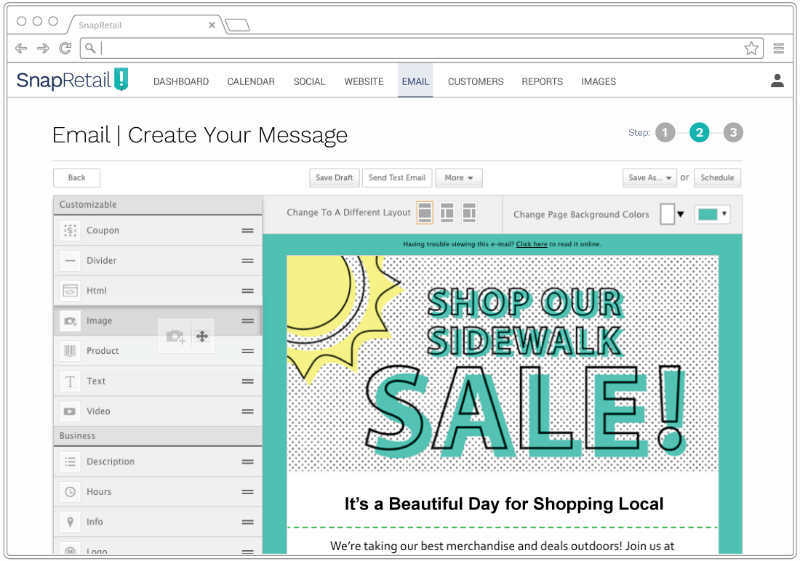 Personalization, email auto-responders and scannable coupons. Save time with 800+ pro templates. Manage + schedule your social media with ready-to-post content, graphics, and FREE stock images. Customize SEO to your audience. Design pages and schedule updates to unify your online marketing. Sell your products through email with PayPal or create your online store, drive sales with SnapRetail + Shopify. 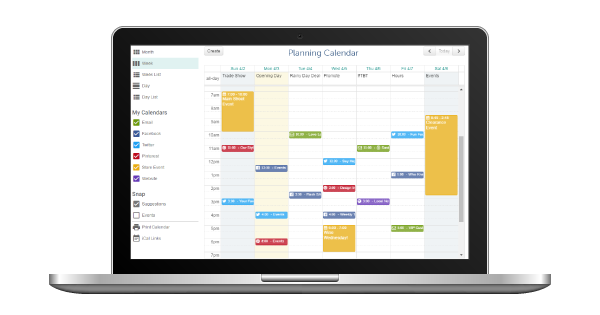 SnapRetail makes it easy to create a unified marketing plan from one powerful marketing tool – the planning calendar. Get a comprehensive view of your marketing plan: emails, social posts, website updates, and events. 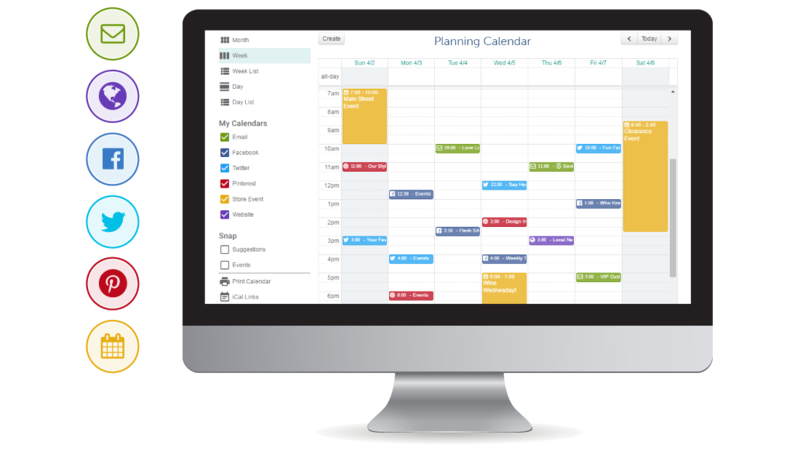 Simply drag-and-drop to reschedule any of your events. Smart email marketing is all about sending the right message at the right time. SnapRetail’s drag-and-drop editor, auto-responders and personalization capabilities make it easy for you to drive sales and results. Staying successful on social media requires you to constantly be engaged with your customers, and SnapRetail takes the guesswork out of what to say and lets you plan all your social accounts in one place – a day, week, or month at a time. 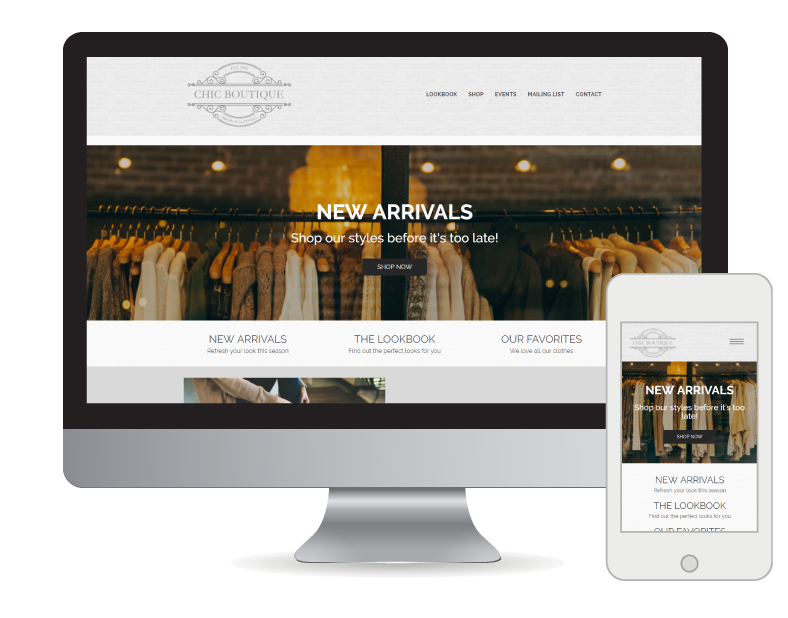 With over 300 different look-and-feel combinations, creating a responsive website for your small business is easy. 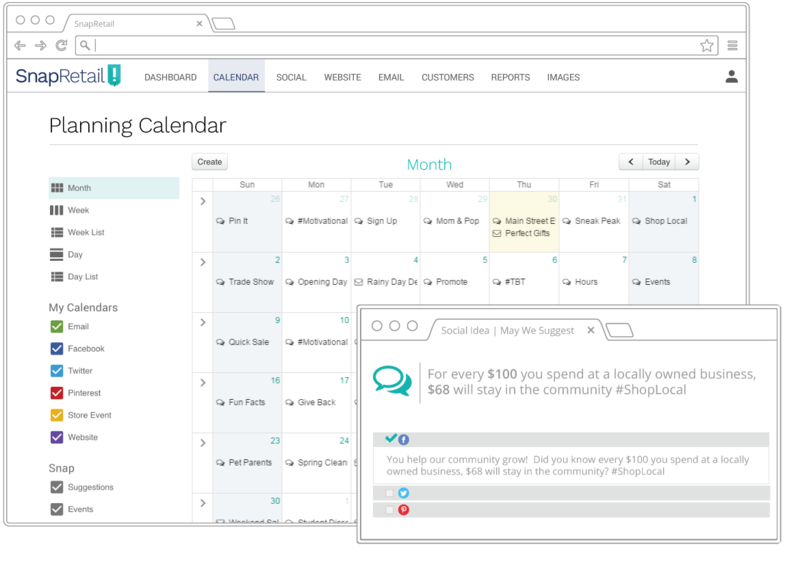 Schedule content updates to align with your emails and social posts. Sell online with our PayPal and Shopify integrations. Looking to increase your small business sales online? 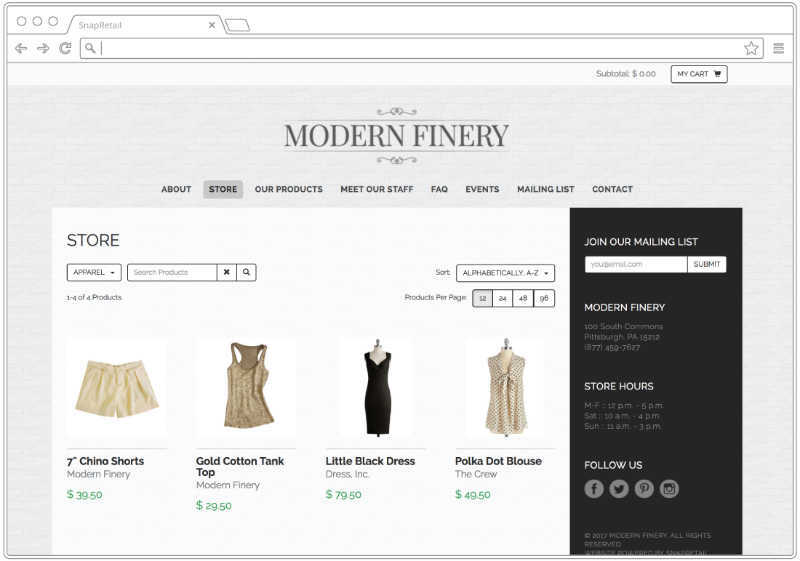 We give you the option to sell a few products online and through email or build an entire online store with ease.